In the past, it would have been nearly impossible to modify a PDF document. Thanks to the unique software offered through PDF Architect, this is no longer a real concern. You will be able to create, convert, edit and review these documents in the blink of an eye. This is an obvious advantage for both business and personal requirements. Professional-level PDF modification software for the novice user. Numerous modification options to enjoy with the simple click of a button. This system requires at least 100 megabytes of free space on your hard drive. The price of this software may be prohibitively expensive for those who are on a limited budget. There are several versions of PDF Architect currently available. Standard packages, professional variants and those which contain a system known as Optical Character Recognition (OCR) are all provided. Of course, this will primarily depend upon your needs as well as your budget. Even the standard version offers many features not often seen in comparable offers. PDF Architect is advantageous due to the fact that you will be able to quickly modify your PDF file with a single click. Besides the features mentioned previously, some other user actions include converting documents to a different format, reviewing work in progress, enhanced levels of security and the option to paste text or images directly into the PDF file. Finally, you will always be notified when an updated version becomes available. unacceptable license modell. unacceptable license modell. 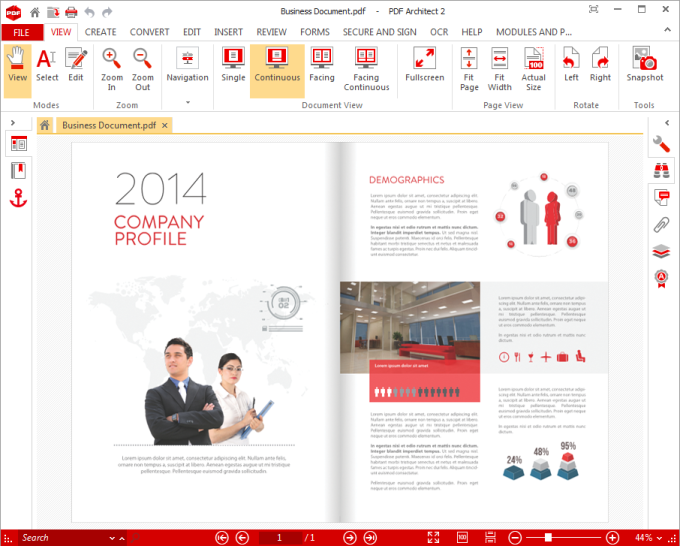 PDF Architect 2 released in 2014. Just two months ago a bought the full version inclulding all modules. Now they release PDF Architect 3 without any possibility to upgrade from V2 to V3. So they force me to spend again the full price for all modules to get the improvements of V3. And V3 contains just improvements. First I thought it´s an alternative to adobes abo model. What do you think about PDF Architect? Do you recommend it? Why?